Beautifully prepared and presented food in a relaxed and well lit dining room with excellent service despite it being full on a Saturday night. The wine recommendation was spot on and really helped make the evening feel like a huge treat. My teenaged daughters have not stopped talking about the lamb and potato amuse bouche. Only sad that none of us could manage dessert after such a fabulous meal. We loved our experience at True South :) great service, super yummy food and good views. Would definitely go back. A great table next to the window looking at the lake and beyond. Entree of scollops delicious and well presented. the main of fish also beautifully cooked. The food was lovely. We shared a snack dish and a starter and had a main each along with complementary bread and amuse bouche. The restaurant is small and cosy with a great view of the lake and mountains. I wouldnt fault the service both staff were friendly and informative. 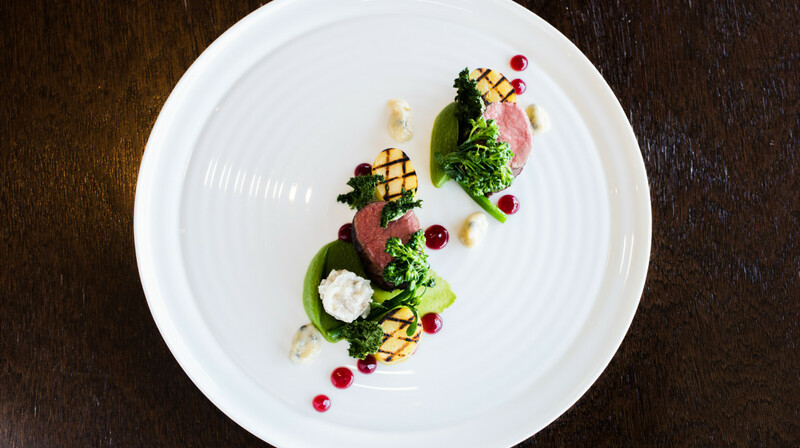 Stunning food in a stunning location. Nice an intimate with Great Lake views and friendly staff. Highly recommend for a special occasion or if you just like the best food. Amazing view and creative dishes! Definitely wanna to go back! Such a stunning view and great food and service to match. To get food of this quality at 50% off is almost too good to be true! Beautiful views, excellent service. Food was good, we both enjoyed the steak dish (although the portions are small so sides are definitely needed). The whitebait starter was delicious too! We went to True South for a family celebration and had a wonderful time. The staff were very friendly and the food was amazing, the flavours are one of the things that will stay in my mind for quite awhile. I would strongly recommend True South as a great place to eat. This is a restaurant for a special occasion and our special occasion was our 28th wedding anniversary. We both love the experience here and it was our top choice. I don't usually photograph food but these plates of food were works of art and I had to snap a pic before tucking in. Fantastic food, wonderful views and good service, will be coming back! We couldn't fault our dinner at True South. It's a real gem, and a privilege to be able to dine using First Table. 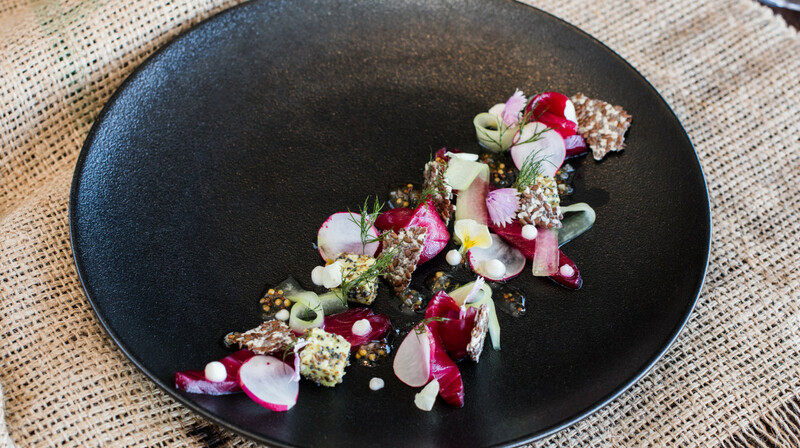 Food is out of this world, amazing presentation, and the best wine list in Queenstown. Oh, and the view is pretty good too! We had a lovely dining experience last night. Service was tops, food fantastic and scenery spectacular. Incredible food, impeccable service, will definitely be back. Amazing dinner ... the view is stunning and the food was so tasty and beautifully presented. Huge wine list and service was spot on! Would definitely go back!! Great food with stunning view! All food we ordered were amazingly presented, and tasted really good. Only negative thing was there were a bit of waiting time between dishes (20 - 30 mins each) so it took 2.5 hours to complete all dishes. Insane level of Complexity and Skill in their delicious dishes!! We had one of the best dining experiences we’ve had in NZ. Cheers guys! Excellent service. Excellent food. Best dining experience we have had in Queenstown- thank you. Thank you Rees team. We sat at a window table in the restaurant enjoying not only the mountain/lake views but the ambiance of this dining room. The touches from the decorative tables with stones, to the wood your bill arrives on, were well thought of. 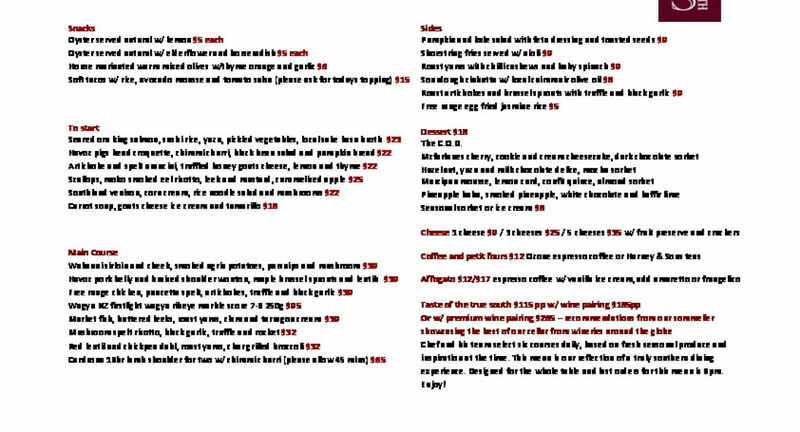 The menu items are sourced locally (information on the back of the menu as to where the food is from). Any wine connoisseur must visit as their cellar offers wines of every vintage from all over the world. The two staff on our evening were friendly, informative and provided great service. Will visit again! Incredible food with stunning presentation, topped off with a great wine list. Staff are professional and friendly. 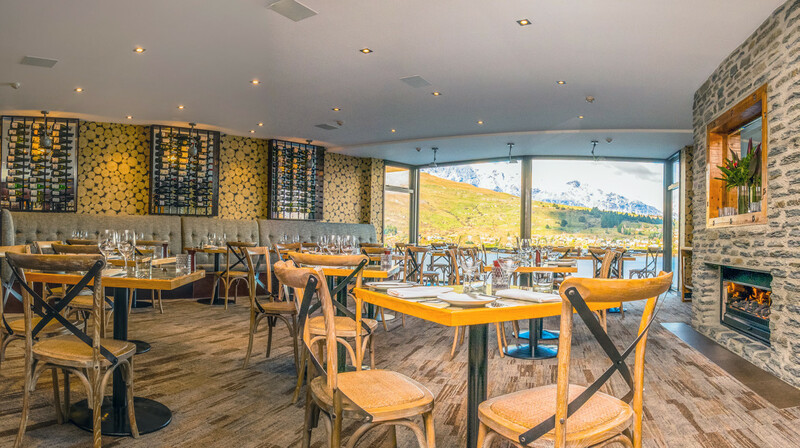 Great place for a special occasion - eating here in winter with a First Table booking (6pm ish), means you get a fantastic view of the sunset over The Remarkables. Score! Great food, very interesting menu with a couple of little appetisers thrown in! Service excellent and the desserts are super creative even featuring chocolate soul! Will be back for sure! Fantastic view from a window table. Service unobtrusive yet prompt and efficient. Great! We had the Taste of the South Degustation menu. Food was delicious, the wine pairing was great, full glass of wine per course. Our waitress Celina was lovely. Wow True South was so delicious! We went for a birthday meal. Amazing food and service with a 5 star view too. If you’re looking for something special this is the place. Thank you True South! I had heard and read many positive reviews about the True South Dining Room experience and was excited to get the chance to try for myself. Walking in to the restaurant was an experience alone, warm, inviting and a great ambience. The the view out over Lake Wakatipu is again amazing, especially as the sun set and the colours change. The food was exceptional!! We were absolutely blown away by the beautiful presentation, we forgot to take pictures!! Next time :-p The Chefs looked so relaxed in the Kitchen, working away on their pieces of edible art. The service was impeccable, you could not fault a thing. Yana, Maître d, was super! She made us feel so relaxed with her cool, calm and collected nature. She had great knowledge of the local foods that were sourced and extensive knowledge of wine suited for all of the dishes on the menu. Really especially liked the explanation of each component of the dish as it was placed in front of you. Great dining experience!! Can't wait to go again. Amazing food, amazing views, great staff, good atmosphere. I would highly recommend. Amazing view and staff was really friendly. Food was delicious! Perfect evening! Fantastic food, fantastic service. Just flawless! Our True South dining experience was outstanding. We were greeted with extremely welcoming staff who remained professional, courteous and attentive all evening, even responding well to our Aussie 'Dad' humour. The food...WOW! This was absolutely delicious and presented beautifully. The staff were very knowledgable and answered all or our questions. The decor was beautiful, warm and inviting. Thank you to the staff at True South for making our evening perfect form beginning to end. All in all exceptional. From a couple of long time locals! We had the 6 course degustation and it was amazing. Would highly recommend a visit. The service was great, only reason I gave a 4 not a 5 was because we had to wait 20 minutes between each course, took a bit too long. A great experience loved the food and the service was very smooth. The dessert was exceptional. I highly recommend this for a top dinning experience your taste buds will love you for it. Really great night. All staff were really helpful and friendly. Food was superb. Scallops with smoked eel was a stand out from the Taste of the South menu. Extensive wine choice. Will definitely go again. I love the dining experience here. Our second visit and the food and service were as outstanding as the first time we were here. Their food is a work of art on each plate. Beautiful to look at and delicious to eat. We had the degustation menu and it was absolutely delicious, probably the best meal I've had in Queenstown yet. Particularly enjoyed the risotto with goats cheese and the pork main. The wine matches were well chosen and service was friendly and attentive without being OTT. Will definitely recommend to friends. A very charming small dining room with great views. The service was great, very attentive. They even organised a sparkly dessert for my husbands birthday on a short notice. Thank you! The food was delicious too, great quality and all super fresh. The dessert was delicious, highly recommended the honey mousse. Only one tiny thing: we ordered smashed potatoes with our mains, but they weren’t what we expected. They potatoes came out as normal boiled potatoes. The food was amazing and the service was 5*. Would definitely recommend and be back. Great fine dining restaurant, wonderful views & good ambience. Portions are on the smaller side but very well presented and menu adjustments / requests are well obliged.